Israel denies entry to chairman of the Palestine Solidarity Campaign, which works to promote boycotts of Israel. The Population and Immigration Authority and the Ministry of Strategic Affairs on Sunday evening denied entry to Israel to Hugh Lanning, chairman of the Palestine Solidarity Campaign (PSC), an anti-Israel group which openly supports Hamas, Hezbollah and other extremist organizations. PSC is the leading anti-Israel organization in the UK and one of the largest in Europe in general. 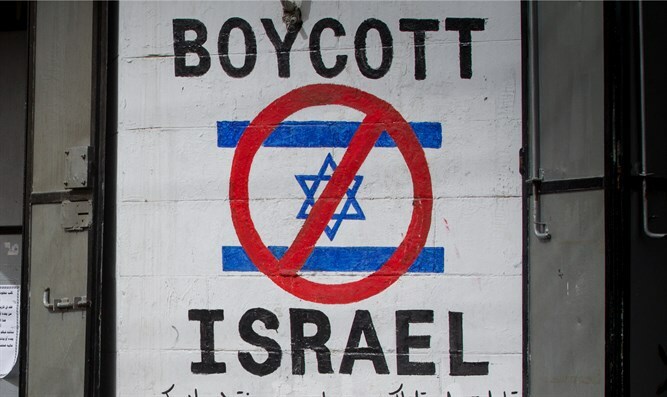 The organization works in close cooperation with other delegitimization organizations to promote boycotts and other activities against Israel. Members of the organization also took part in the Mavi Marmara flotilla in 2010. The official website of the organization includes calls for boycotts against Israel. In 2012, Lanning visited Gaza and met with senior Hamas figures, including Ismail Haniyeh. Lanning himself consistently promotes boycotts against Israel. Following consultations held on Sunday evening by the Ministry of Strategic Affairs, together with the Immigration Authority and the Ministry of Foreign Affairs, it was decided to prevent Hugh Lanning from entering Israel. He is expected to fly back to the UK in the morning. Minister of Strategic Affairs Gilad Erdan (Likud) said that his ministry, together with the Interior Ministry, leads a policy of denial of entry into Israel of individuals who try to harm the state. "Anyone who acts against Israel should understand that reality has changed. No sane country would allow entry of boycott activists who want to harm and isolate it,” said Erdan.